The Golden Age for women entrepreneurs has just begun. In recent years, the rate of women entrepreneurs has been growing at a percentage at least double that of their male counterparts. A microcosm of the trend is CNBC'S inaugural Upstart 25 list, where 10 of the company fledglings were founded by women in a host of industries — from neuroscience to finance to retail. The 2017 MIT-CHIEF Annual Conference Women in Entrepreneurship Panel shares experience and stories of women entrepreneurs in Boston, featuring Deb Kemper (Golden Seeds), Jean Hammond (Learn Launch), Marie Meslin (TCN), Peggy Yu (Startup Institutes), and moderated by Siobhan Dullea (MassChallenge). Siobhan Dullea is the Chief Operating Officer of MassChallenge. She oversees global operations at MassChallenge and also supports the organization’s future expansion. Siobhan joined MassChallenge from The Grommet, where she served as Chief Growth Officer, responsible for the wholesale business and programs to support entrepreneur growth. Prior, Siobhan was a founding member of C Space, formerly Communispace Corporation, where she grew the company’s workforce to nearly 500 employees, managed the global rebrand, and drove profits to $100 million over her 16-year tenure. 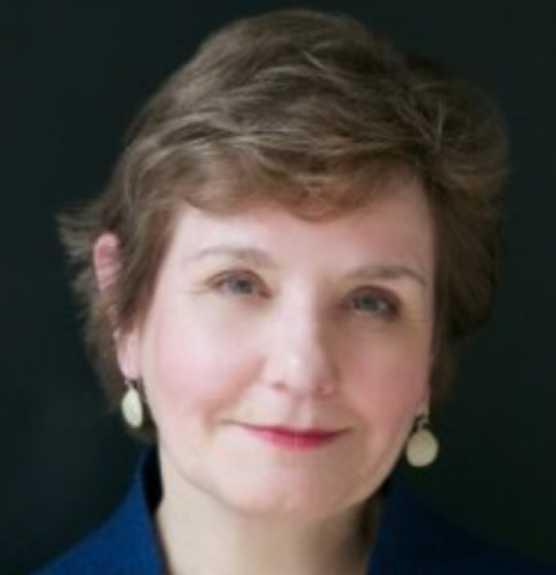 Deb Kemper is a Managing Director and the Golden Seeds Boston Forum Operating Committee Chair. She leads deal flow, membership, education, and operations. She is an active early-stage investor, mentor to entrepreneurs, and board member. Prior to Golden Seeds, Deb was a management consultant at McKinsey & Company where she served clients in the healthcare, energy, electronics and consumer products sectors. Deb earned an MBA from The Tuck School of Business at Dartmouth where she was a Tuck Scholar. She completed her BS in Engineering from Cornell University where she graduated With Distinction. Jean Hammond is currently a Co-Founder and Partner at LearnLaunch supporting the edtech community with an accelerator, co-working space and community engagement with startup and educator support at LearnLaunch Institute. Jean is an active angel investor and member Launchpad, Hub and Golden Seeds angel groups. Jean was the 2014 recipient of the Hans Severiens Award, honoring angel investors, by the Angel Capital Association. Jean is an active mentor at TCN, TechStars, and MassChallenge along with other organizations and was a co-founder of two technology startups in the Boston area. Jean is a MIT Sloan alumni class of ’86. Marie Meslin is the Executive Director for the Capital Network (TCN), a Boston-based non-profit that helps entrepreneurs understand the fundraising process, get educated and grow their network of investors. In 2016, Marie Founded TCN's Female Founders Fellowship Program to engage and support more female founders through TCN's resources. Marie also runs Greenhorn Connect - an online platform supporting student access to the Boston Innovation Ecosystem outside of their universities. Marie has previously worked with innovation consultancies such as What If, Anveshan and Differents helping Fortune 500s and small non-profits alike solve key issues through a creative process. Peggy Yu is the COO of Startup Institute, a transformational 8 week program that helps people develop the skills, mindset, and network to find jobs in the innovation economy. Peggy earned a MBA degree at Harvard Business School. In Peggy's previous work experience, she worked as consultant in various startups to provide solutions and optimized the business models. Peggy was also the Interim Director at the Rock Center for Entrepreneurship at Harvard Business School.